Wedding photography is the single best investment you can make on your wedding day. The flowers you choose, the food you eat, the venue you celebrate in -- these are all wonderful things. But it's what you're celebrating and the people you're celebrating with that truly define your wedding day. Being left with cherished memories of your wedding through artfully captured images -- that's what matters the most. 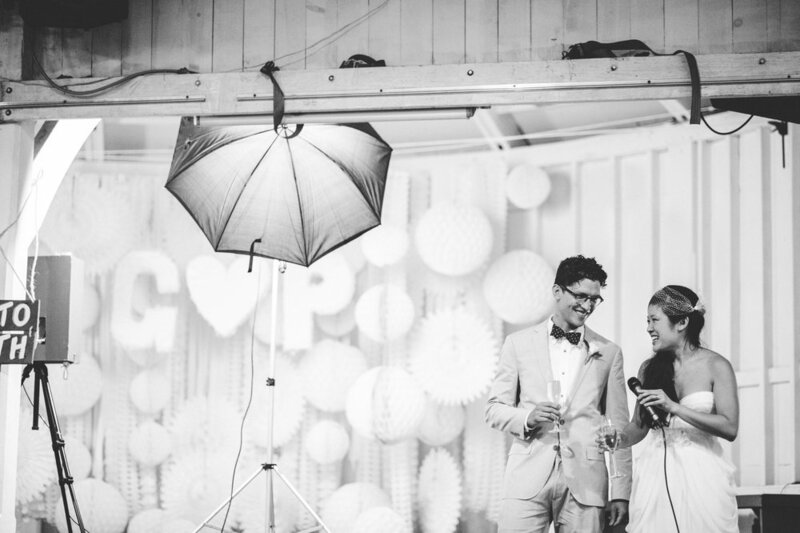 It's in this photographer's opinion that you should hire the best photographer you can find! I've been shooting weddings for 10 years, and shot hundreds of weddings, each one of them chock full of unique people and unique challenges. My goal -- from the moment I arrive to the last 1/8000th of a second before I leave -- is to capture your wedding in expressive moments that allow you to remember and treasure them for the rest of your lives together. I can tell you from experience that it all happens pretty fast. When I woke up on May 30th, 2015, I told myself to commit my wedding to memory...and it didn't 100% work. :) There are still aspects of the day that I had to see photos of to remember clearly, and I'm so incredibly happy that I had a skilled photographer there to create them. My wedding packages range from $3500 - $5000, with my most popular package being $4000. Contact me for a detailed pricing guide. If you’d like to meet up during your planning process or before you book me, I’d be thrilled to meet you and answer any questions that you have! Once we decide to work together, I'll send you a contract to sign online, and ask for a $500 deposit. If we haven’t met yet, I always love to meet you so we can get to know each other! If we're far away we can video chat, but I'm an extrovert so I love meeting face to face, preferably over beer and/or pizza, or coffee, but I'll probably get a hot chocolate because life is for living and chocolate is life. When we meet, I'll ask you all about you and your story, and tell you how I work and what to expect as we work together. I'll probably bring up The Princess Bride which is my favorite movie, and you'll hopefully tell me how many times you saw The Dark Knight in theaters (one day I hope to meet someone who saw it more times than me (which was 6 times)). Once we've had a chance to meet, we'll set up a time and place to do your engagement session. I'll send over a handy guide beforehand on what to expect. Engagement sessions are as important as they are fun, because it not only provides you with amazing images before your wedding, but it gives me a chance to understand how best to photograph you so that your wedding photos turn out that much more awesome. Between the engagement session and the wedding I'm fully available to you for all scheduling, photography, or any other needs you might have. I've seen it all, and my clients typically ask me for advice on this or that before the wedding. I love what I do and I love making sure that your wedding is as perfect and wonderful as it can be, so I'm happy to be a resource for you. On the day of the wedding I will be everywhere I need to be. You'll notice very quickly that I am full of energy and ready to tackle any photographic challenge the day throws at me. You're my absolute priority, so I'll be at your side when you need me, and I'll be somewhere else, shooting something else when you don't. While the most important aspects of your wedding are the people that are there and the things they're doing, I'll also capture the important details that make your wedding personal. The flowers, the rings, the Tatooine-mud-hut-shaped wedding cake, those types of things. We'll also do a short portrait session, usually right after the ceremony when the light tends to be nice and warm, to get some amazing shots of the two of you and give you a chance to be alone with each other for a few quiet moments. Towards the middle/end of your reception, I also love to grab the two of you to get one or two more night portraits. Pretty much all of my couples say that those are some of the most fun to do! During the week after your wedding I will usually instagram and blog a few of my favorite images from the day. Four weeks after you tie the knot, you'll receive a gallery of 700-900 gorgeous photos in your inbox, and a USB drive with those same images in your mailbox. Mission accomplished. I'm an artist, and I treat your wedding as respectfully as a painter treats a blank canvas, or an architect approaches the design table. Photography is an art as much as it is a science, and the best wedding photographs are those that aren't just documentation, or technically correct, but a work of art. A good wedding portrait should be something that hangs on your wall, not only because you're in it, but because it is beautiful. As such, you shouldn't be so much hiring a wedding photographer as you are commissioning an artist. What makes photography unique among visual artforms--what I love most about photography--is that in the hands of a skilled artist it has a unique potential to tell a story. A wedding photographer should be a great visual storyteller, and the ability to tell a great story through photography comes from experience, hard work, and commitment to the artform; and that's what I provide. I promise that my experience and hard work on your wedding day will produce beautiful, expressive visual stories in each photograph you receive. 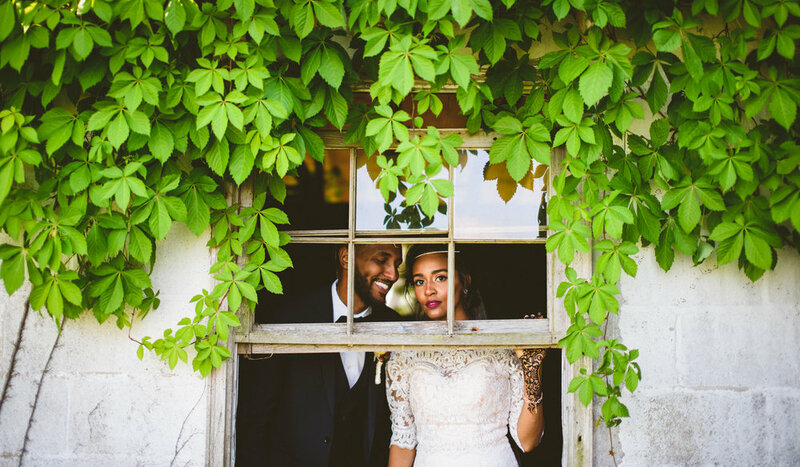 It's my goal that when you look through your images, the two of you will come away with a powerful appreciation and love of each other, the friends and family members that were there to see you get hitched, and ultimately you'll be left with a renewed sense of purpose for your marriage.